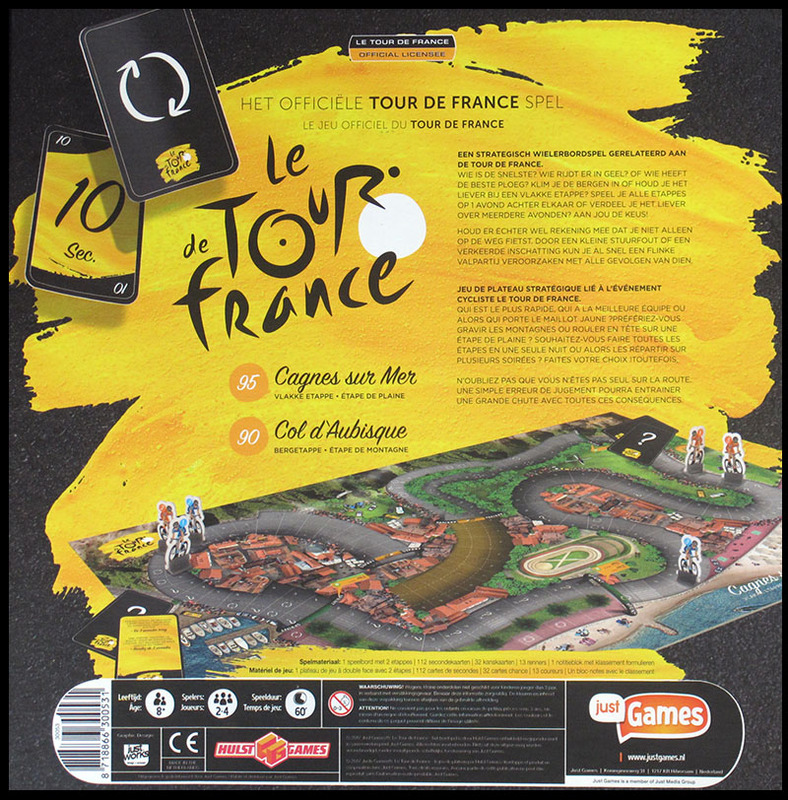 This "official Tour de France game" is a revision of a recent game called Linkeballen. 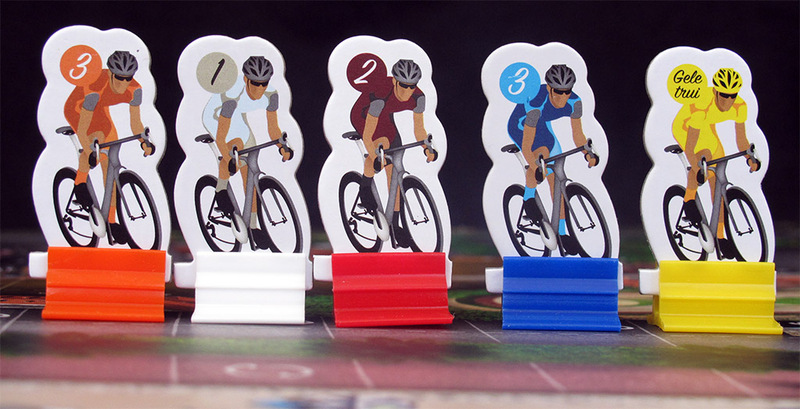 What started as a Kickstarter project has ended as a sanctioned Tour de France release. Not bad. Congratulations, chaps! Of course, this new game is so similar to the original that I doubted if I should consider them the same game and include this one in the Linkeballen page. 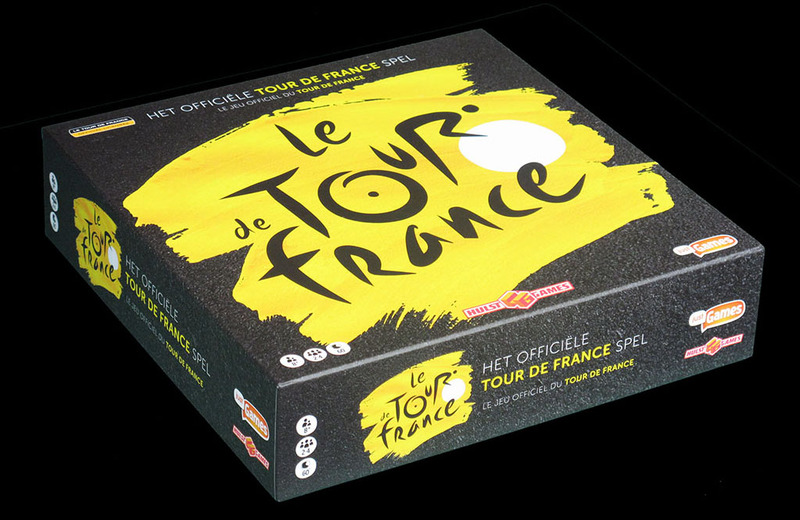 However, my rule (which I have followed, for instance, in the case of Leader1 and its spin-offs Giro d'Italia and Hell the North) is that a game with a different title and a different box is a different game, no matter how similar. This said, I am not going to review the game again, you already know I like it (please refer to the Linkeballen page), but rather stress the differences between both games. The first thing one notices, even before opening the box (just looking under it), is that the game has lost a few cards. Now there are 112 "seconds" (movement) cards, where there used to be 168. Furthermore, there are only 32 chance cards (instead of 48). You also notice that the estimated playing time has decreased from 90' to 60'. 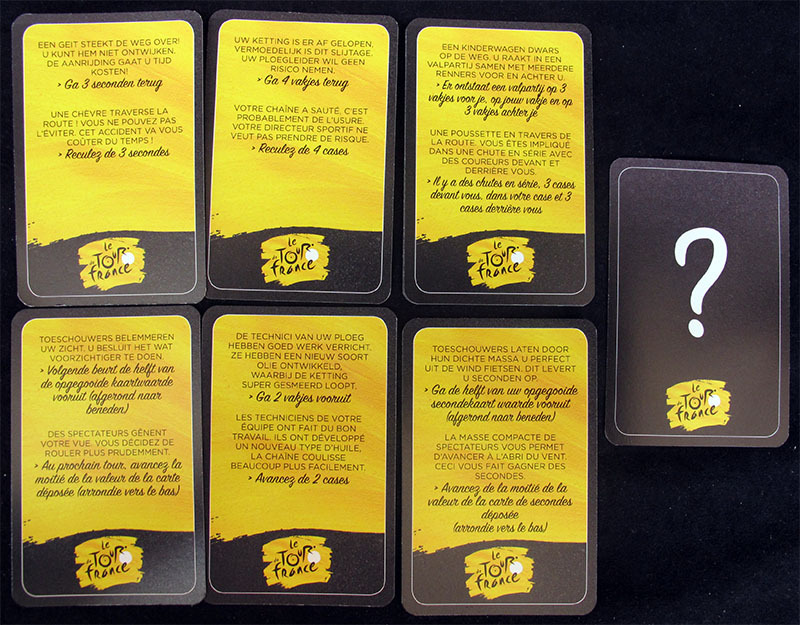 When you finally open the box you notice minor changes in the rules like for instance, that now you deal 5 cards to each player instead of 15. When players have playd all 5 cards, they receive a new hand. How does this affect gameplay? 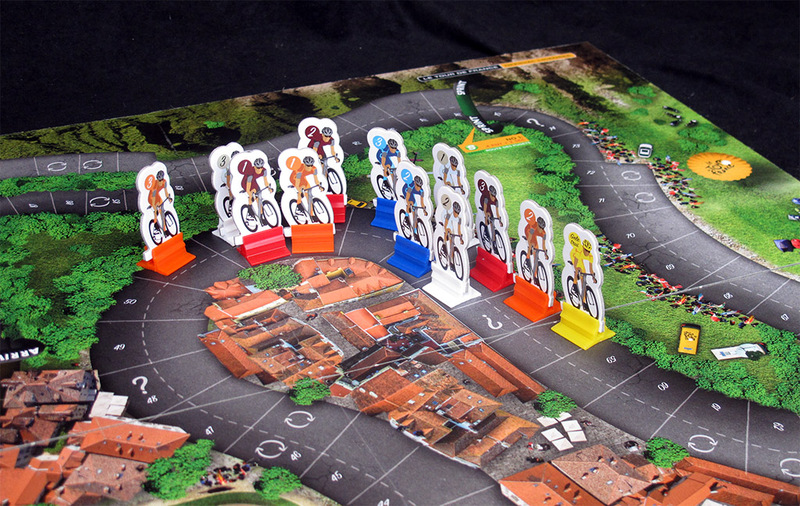 It makes a lighter and faster game since players cannot calculate so many movements in advance, and do not know the strenght they will have a few turns later. Does it make it a better game? This depends on your particular tastes, but I would not say it doesn't. Since the game represents a stage race, I prefer that stages can be played in sixty minutes rather than ninety, so I can play more stages in a single game session. But of course you may prefer it the other way round. 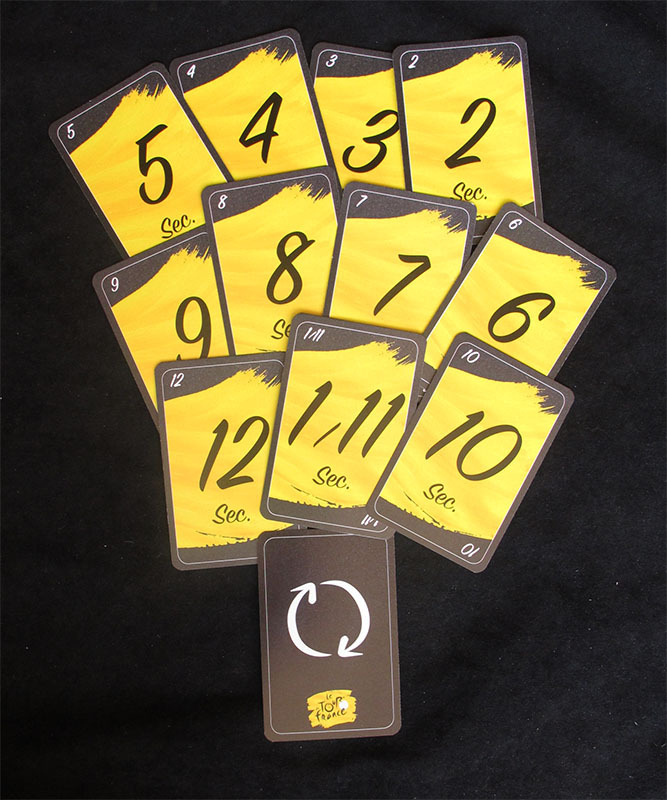 However, the fact of having less cards seems to reduce the manufacturing costs: while the quality of the materials has not changed significantly, the game is now a few euros cheaper. This is an advantage, definitely. 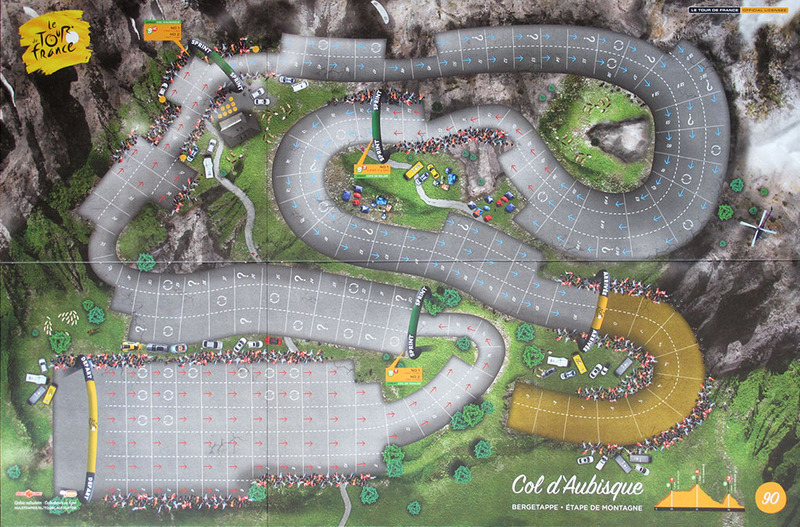 The board features a flat stage on one side and a mountain stage on the other, just like Linkeballen). 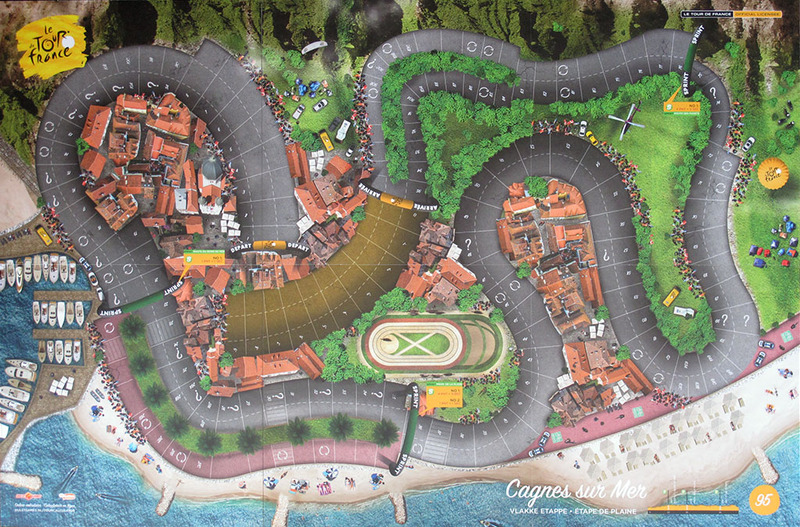 While the stages have different names and may look different at first sight (specially the flat stage), they are very similar to the original stages. This is a pity, since the game could bave been bought as an expansion to the original game if it had featured a different board. The riders are also very similar to Linkeballen's. They have lost the three letters supposed to be the name of the team, and they have coloured plastic bases now, so that the teams are easily distinguished. 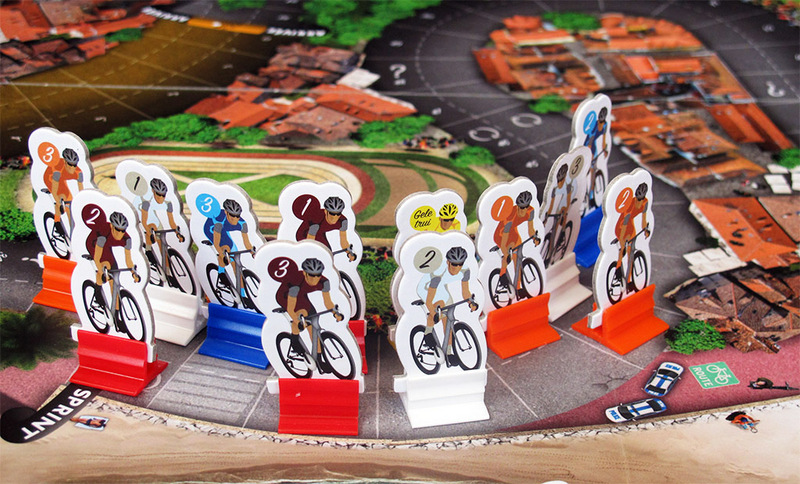 As in the original game, there are 4 teams of three riders plus a rider in the yellow jersey. In case you did not buy the expansions for the original game, you can use them as extra teams. Here are the new bilingual chance cards. I guess that being an official Tour the France release, French had to be one of the languages. The movement (aka "seconds") cards are different from Linkeballen's. That makes impossible to use the existing expansions of Linkeballen with this game. That is not much of a problem since the expansions (and the original game) are sold out according to Hulst Games website, and probably everybody that bought the expansions had the original game in the first place. 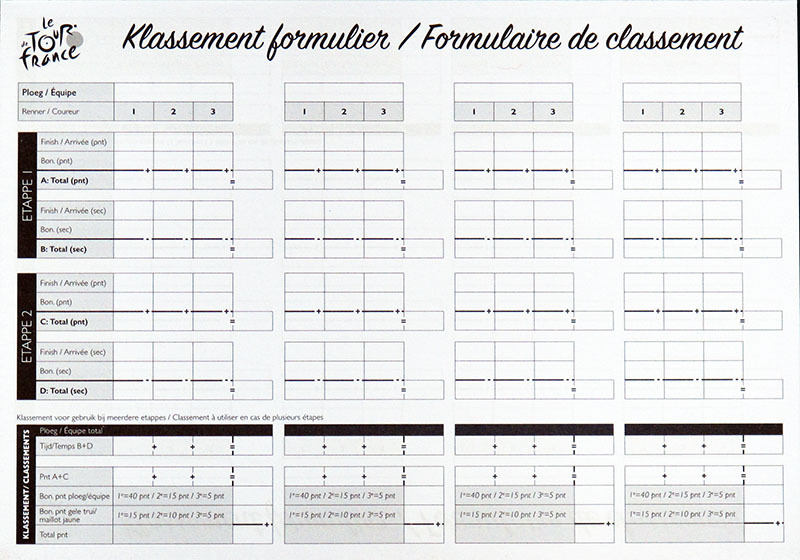 The score sheets look more professional now, and there is even an online Tour calculator if you do not want to bother to fill the score sheet. All in all, this is a game which you will probably not buy if you already bought Linkeballen, which is a pity, since it could have been used as an expansion if it just had featured a different board with two extra stages. I think it is a lost opportunity to sell a few hundred extra copies of the game. On the other hand, the game is now faster to play, which may appeal to a wider public. If you are asking me whether you should by this game or try to find a copy of Linkeballen, I will break my rule (of never saying what you should do) and give my opinion: You should ALREADY have bought Linkeballen, and probably its expansions too. If you haven't, just ask yourself why, and chances are that the answer is that you were waiting for this revision to appear. Try not to miss it this time.